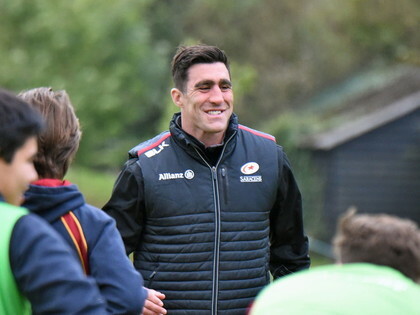 We were thrilled to welcome current Saracens and Scotland international Kelly Brown to the College on Thursday 13th October, for a rugby coaching session with the 1st XV. The boys benefited immensely and thoroughly enjoyed the session, which focused on decision making at the breakdown and attacking game play. It also proved to be excellent preparation in the build up to the final block fixture before half term, against New Hall School with the College winning 21-11.